Acupuncture is an ancient form of Chinese medicine that promotes the body's natural healing processes. Chinese medicine views the body as a systematic whole that works to maintain a harmonious balance. When symptoms arise, it is our body’s way of communicating to us that something is out of harmony. Acupuncture utilizes the body’s own energy to correct internal imbalances. Acupuncture helps bring the body back to a homeostatic state by regulating the nervous system, increasing blood flow, improving circulation and strengthening normal bodily functions. It involves the insertion of thin, sterile needles into precise acupuncture points. The patient’s signs, symptoms and health patterns help to determine which points to use. When our bodies have more abundant resources, we are able to recover from conditions more quickly and are strong enough to prevent illness from arising. Most people assume that the needles we use are the same as those used to draw blood or give an injection. Acupuncture needles are quite different. They don’t create the painful sensation associated with getting a shot. People generally find acupuncture treatments to be relaxing and rejuvenating. All needles used at our facility are sterile, single use only, and are disposed of properly. Cupping involves the application of suction using either glass or plastic cups. When the suction is applied to the skin, it creates a reverse massage of sorts. Cupping helps separate the myofascia from the muscle in order to release toxins and alleviate painful muscle adhesions. This modality helps to increase blood circulation, relax tight muscles and reduce pain. E-Stim, short for electrical stimulation, is the use of an electrical current between two acupuncture points. Probes are connected to acupuncture needles and an electrical current is sent between two points. E-stim is an effective treatment modality for increasing circulation, decreasing inflammation, reducing pain and speeding up recovery time. Asian body work encompasses various manual modalities and techniques that are used within Oriental medicine. At The Acupuncture Center of Asheville, manual therapy is used within the diagnostic paradigm and is customized for each persons condition. Healing touch is essential to health and heals not only the physical body, but the emotional body as well. Moxibustion is a classic Chinese medicine treatment modality which involves the application of heat. Applying heat to specific acupuncture points warms the body, increases blood flow and nourishes the immune system. 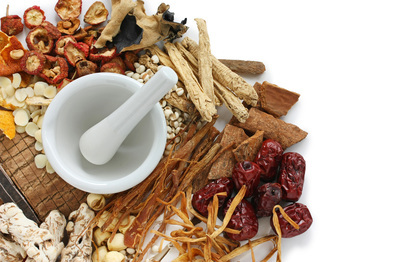 In Traditional Chinese Medicine, qi is treated as the fundamental substance of the human body. Qi in its physiological sense constitutes, replenishes and nourishes the human body. Medical qigong can be divided into two main categories: internal qigong, which is practiced by the patients themselves to preserve and promote their own health, and external qigong, which is performed by a qigong practitioner to treat the patient according to their individual diagnosis. External qi gong effects the physical being (yin) by manipulating the yang energy. There are many styles and schools of qigong, some with motion and others without. Qigong can be practiced while sitting still, standing, or lying on the back or side. The Arvigo Techniques of Maya Abdominal Therapy® are based on the ancient Maya practice of abdominal massage. This is a non-invasive, external massage technique that repositions the internal organs, allowing for improved functioning for optimal health and wellness. Arvigo® Therapy is best known for addressing misalignment or congestion in the reproductive organs of both men and women, as well as many common digestive disorders. This technique moves congested lymph fluid, oxygenates blood, increases immune function and maintains proper nerve flow. Arvigo® therapy address the five systems of flow: arterial, venous, nerve, lymphatic and energetic, thus supporting the vitality of the internal organs. Additionally, this therapy can address and release emotional and energetic tension from the abdomen. Conditions and symptoms that Arvigo® Therapy may help address include: digestive disorders, menstrual disorders, fertility enhancement, menopausal symptoms, early stages of BPH (Benign Prostatic Hypertrophy), prostatitis, impotence, erectile dysfunction, urinary incontinence, and frequent urinary infections. Dr. Rosita Arvigo developed these techniques from her study of traditional healing with Don Elijio Panti, the renowned Maya shaman of Belize, and her training in modern medicine. While abdominal massage is found in cultures around the world, the Arvigo® Techniques employ a comprehensive approach which joins traditional healing with modern science.